I really hope that the kindergarten teachers liked their gift, because I have spent 2 hours for each coaster! Yes, I thought it will work up much quicker, but I needed one hour for making one flower, plus one hour to work the edging around the petals and weaving in the ends! 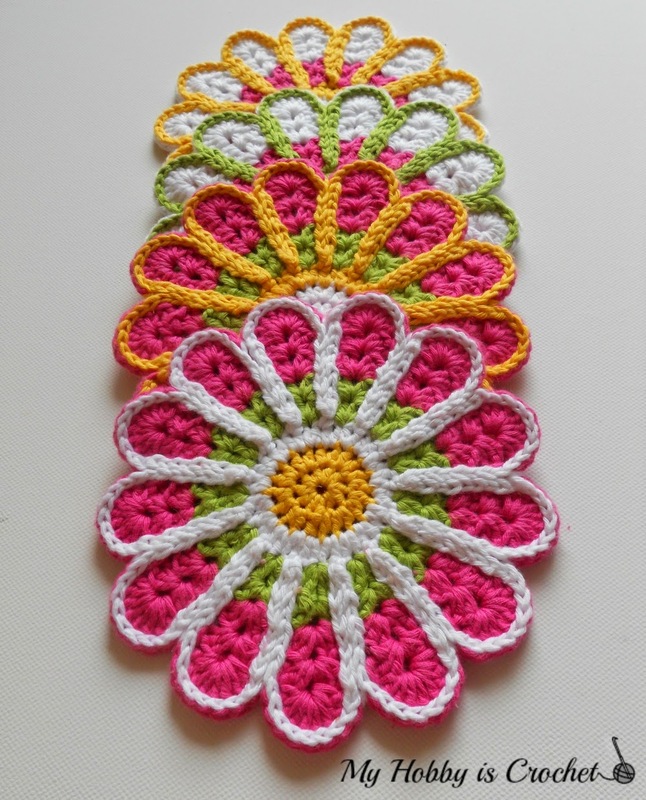 Find the link to the free pattern used at the end of this post! 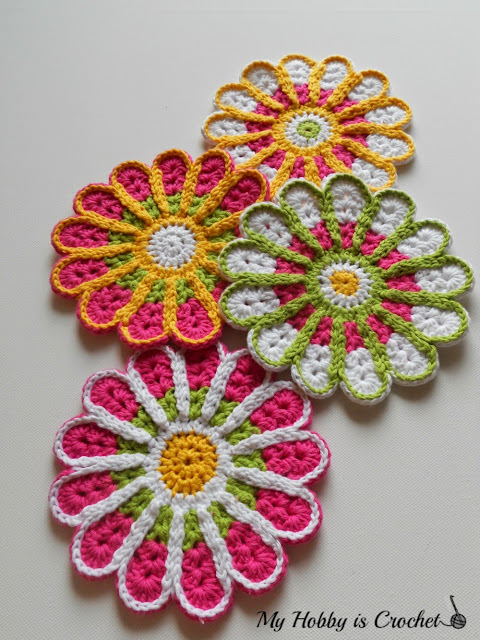 The pattern I have used to make these coasters a Free Crochet Pattern by Bernat Design Studio on Yarnspirations site. Actually, the pattern is for a dishcloth, but using a smaller hook size as in the pattern indicated I have obtained nice, stiff coasters with a diameter of 15 cm (unblocked). The dishcloth pattern calls for a 5 mm crochet hook; I used a 3.5 mm hook and kitchen 100% cotton yarn. A good yarn choice could be Lion Brand Kitchen Cotton Yarn, currently on Sale on Craftsy. The pattern it's nice and simple, the only more challenging part is the final round, the edging around the petals. I didn't liked very much the look of the single crochet edging around the petals, so I replaced the sc with slip stitches. Before changing colors, I have finished the rounds with the invisible finish off method. I have joined new color with a standing half double crochet into ch space of a shell from previous round. 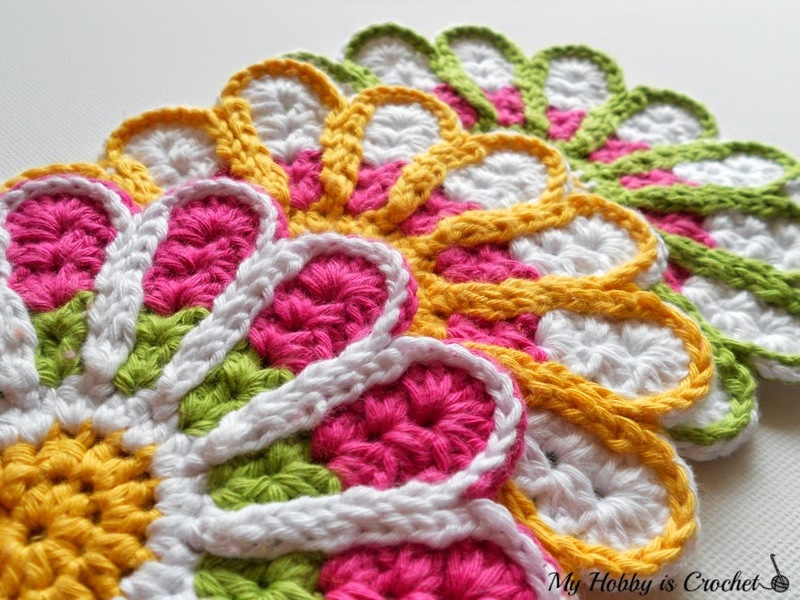 Click here for the Chrysantemum Coaster Free Pattern on Yarnspirations! Once you're on Yarnspiration site, to download the pattern, click on the green button with the text "Free Pattern"! I hope you liked my version of the coasters! 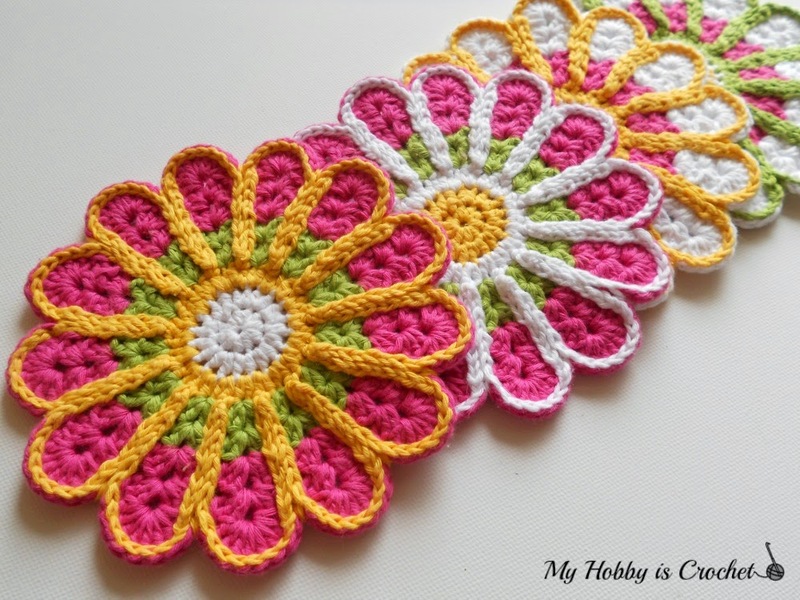 For more free crochet patterns, please visit also my FREE Crochet Pattern Page!